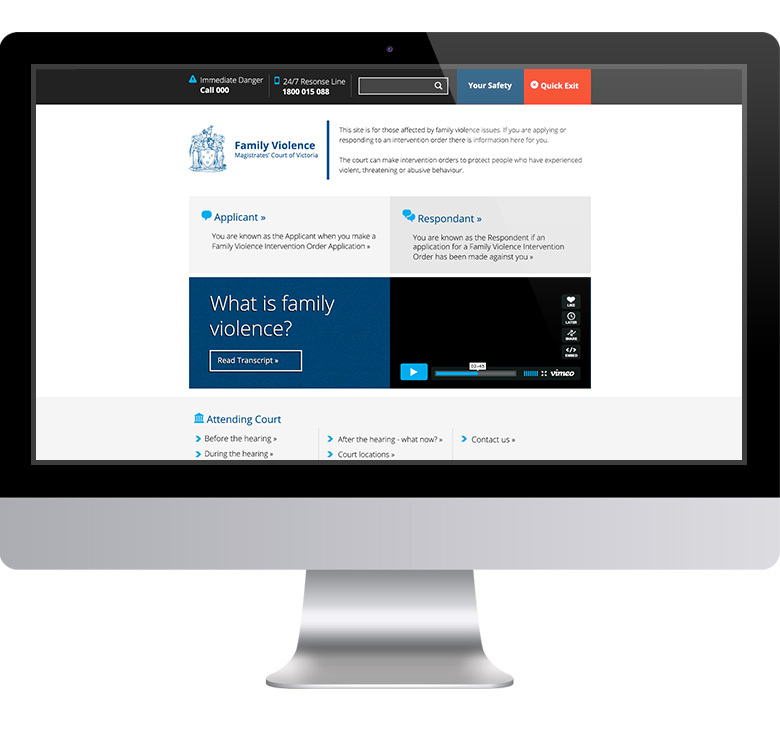 Clear communication with safety and education as a priority. Intervention Orders are part of a strategy to ensure the safety of all members of our community. 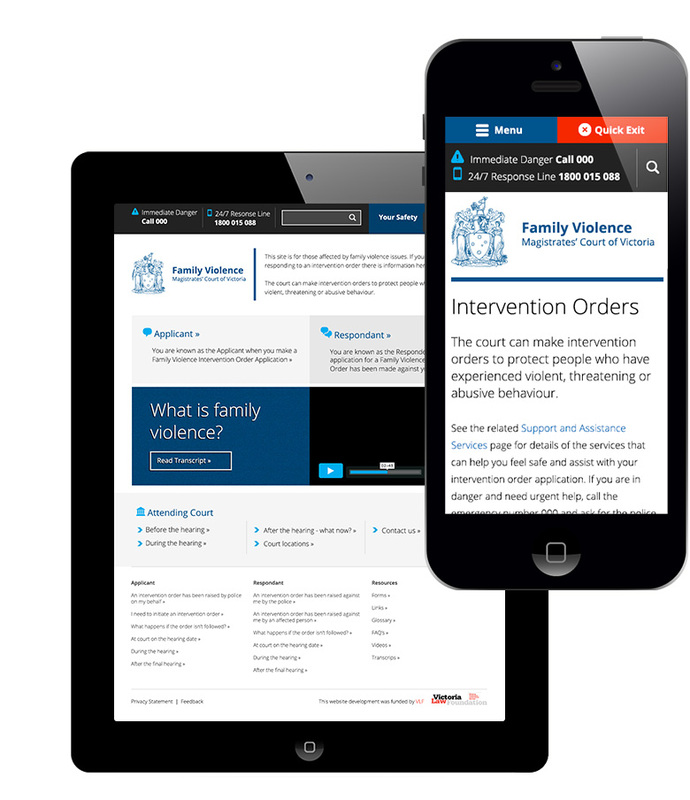 This website was created and is there to help you through the family violence intervention order court process for both applicants and respondents. 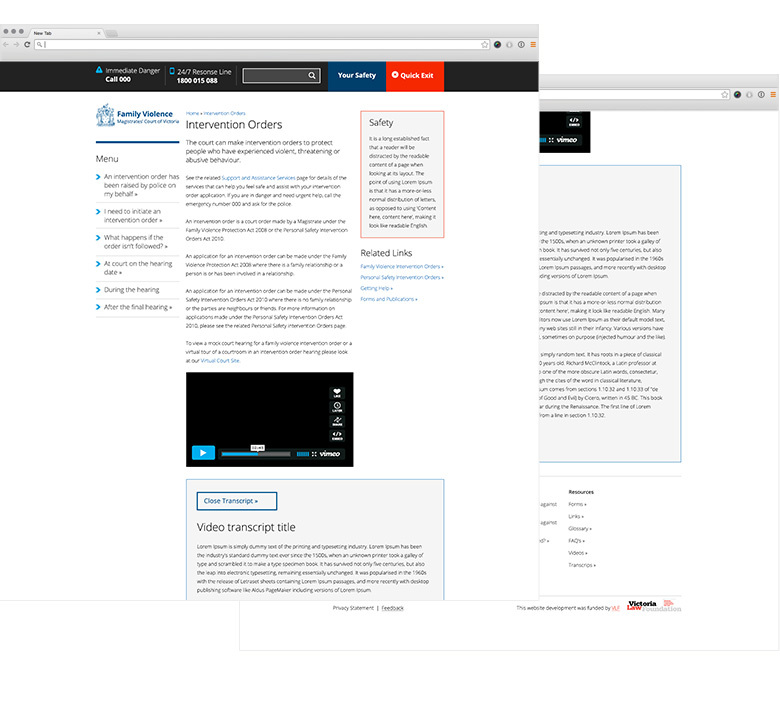 Services: Information architecture, website design.